Topics include strategies for coping with the sensory aspects of grooming, social lives and dating, playing sports and music, and other issues, as well as how to find support and help from loved ones, occupational therapy, and other resources. Carol Kranowitz's insights are supplemented by first-person accounts of adolescents and teens with SPD, sharing their experiences and hard-won lessons with readers and adding a powerful personal dimension to the book. 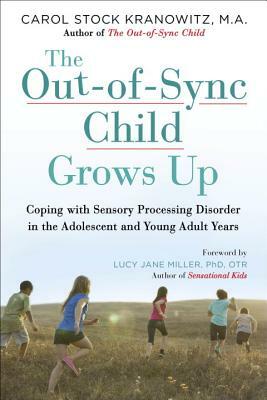 CAROL STOCK KRANOWITZ, MA, is the author of The Out-of-Sync Child and The Out-of-Sync Child Has Fun, and coauthor of Growing an In-Sync Child. A former preschool teacher who first noticed sensory challenges among her students, she is now world-renowned as a speaker and expert on the subject of Sensory Processing Disorder.